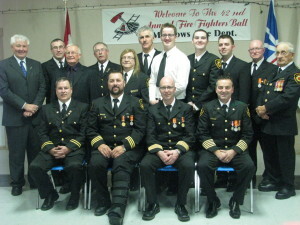 The Meadows Volunteer Fire Department is enjoying another successful year. The department has a roster of dedicated members serving the needs of our town. However there is still room for other members and the department is currently accepting applications for new members. If you would like to join a dedicated organization to have fun and learn new things all at the same time helping make our town a safer place, then the Meadows Fire Department could be for you. If interested contact any member of the fire department or drop by on any Thursday evening at 7:00pm, we would like to see you there. All residents are urged to display their house numbers in a visible place easily noticed during the day or night from your street. If you need help in any emergency situation CALL 911 and clearly state your emergency situation, your name and location. The Meadows Firettes also help fundraise for the Fire Deparment, at the Fire Fighters Ball in November 2014, the Firettes gave the Fire Department a $13,000.00 cheque. Monday night Bingo is the only fundraiser that the Firettes have through the year. Firettes President – Madonna Brake; Vice President – Stephanie Legge; Secretary/Public Relations – Sherry Buckingham; Treasurer – Joy Taylor. Firettes – Elaine Taylor, Mary Brake, Marg Gilbert, Sandra Parsons, Heather Hart, Jan Gillam, Diane Mosher, Joan McKay, Christina Parsons, Teresa Kendall, Patsy Barrett. The Fire Departments building houses a 2012 – 1050 Pumper 4-door Fire Truck and a Medical Emergency Rescue Van, compressor, etc. Copyright © 2013 Town of Meadows.